At tortoisetown.com we have the world’s finest selection of healthy, captive bred aquatic turtles for sale including baby turtles for sale, juvenile aquatic turtles, and adult aquatic turtle for sale. We specialize in all types of water turtles for sale online including slider turtles for sale online, red-eared slider for sale as well as rare albino red ear slider. Additionally, if you’re looking for cooters? Most importantly, water turtles is our specialty. We have some fabulous Rio Grande cooter turtle for sale as well as hieroglyphic river cooter turtles for sale. Most importantly, baby river turtles are just some of the species of aquatic turtle for sale we offer. All of our baby turtles for sale come with our full live arrival and a 7-day health guarantee! Lastly, with a biologist ON-SITE, we guarantee you the finest live baby turtles for sale online in the USA! Some of our live baby water turtles for sale include the popular red-eared slider. Slider turtles have been very popular as pet turtles for sale and for good reason. Because they are cute, stay reasonably small and get along well with other turtles. Also, be sure to check out our red ear slider. When considering any live baby aquatic turtle for sale, there are many species to choose from. Lastly, are many other types of live turtles for sale available. Some popular baby turtles for sale includes mud turtles, map turtles, softshell turtles, cooter turtles, terrapins for sale and many more live baby turtles. Finding the right baby turtles for sale can be a tough decision since there are literally hundreds of species of water turtles! So, you decided you wanted to purchase a turtle online. Assuming you have decided on a water turtle, or aquatic turtle species, you have quite a list of species to explore before choosing which type of aquatic or water turtle is right for you! Consider the size. There are many very tiny water turtles including small freshwater turtle species. These species only reach max shell lengths of 6-7″ and are therefore considered small breeds of turtles. Most noteworthy, the sideneck is the most popular species of side necked turtle is probably the pink belly side-necked turtle, or pink belly side neck turtle. Because the side-necked turtle, a name for the long-necked turtle of the families Chelidae and Pelomedusidae, found only in the Southern Hemisphere. Also, the turtles’ neck in these two families is of a different structure from that of other turtles and is folded to the side. Lastly the neck folds under the shell and is concealed instead of being straight back. Similarly, a popular aquatic turtle, a member of the family Chelidae, sometimes called snake-necked turtles, are found swimming in the rivers of South America. Also, snake necked turtles exist in Australia mainly found in the New Guinea region. Because of this several species of side necked turtles have slender, elongated snouts. Lastly, among these live turtles for sale is the Matamata (Chelys fimbriata) of Brazil and N South America. Consider that the family of Pelomedusidae includes two African genera, Pelomedusa and Pelusios. Because of this, members of the latter genus resemble the North American box turtles, with a hinged shell. Similarly, a third genus, Podocnemis, is found in rivers of South America and Madagascar. Side-necked turtles are classified in the phylum Chordata, subphylum Vertebrata, class Reptilia, order Chelonia. Because all are popular baby turtles for sale, captive bred of course. Most noteworthy as the most popular pet live turtles for sale in the USA, the red ear slider has a long history in the pet trade. 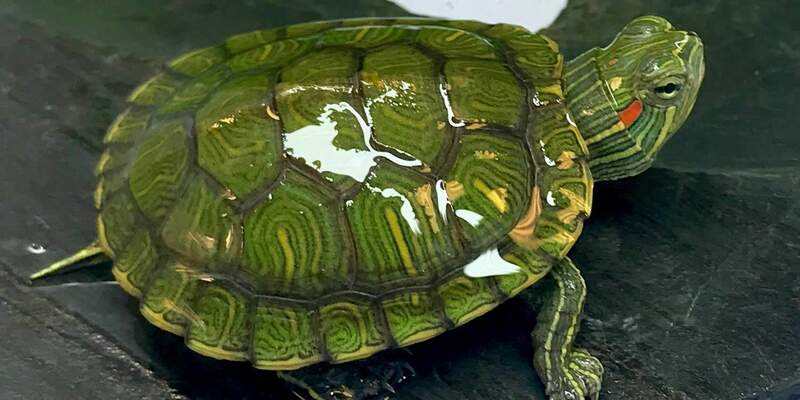 Because the red eared slider for sale is a staple of aquatic turtle since decades ago, slider turtles for sale have been kept for many years by a wide variety of hobbyists. Most noteworthy, both beginner turtle keepers as well as those who are experienced in keeping aquatic turtles for sale. Also, as way back as 1960, baby slider turtles for sale were sold in dime stores, and unfortunately many died. Originally, they were not kept as aquatic turtles for sale. Confusingly, due to a lack of knowledge of the children who begged their parents to buy them real live baby turtles for sale. Slider turtles have become one of the most popular pet baby turtles for sale again as of late. Luckily, now that reptile enthusiasts are better educated, the red-eared slider has a better chance of survival in captivity. Because it is a large turtle and should be kept only by people who are prepared to provide the proper care for live baby turtles. Also, Red-eared sliders are very good swimmers spend most of their time in the water. In contrast, sliders love to bask, too, and during warm, sunny days, wild red-ears love to stack on top of each other while doing so. In contrast, the slightest movement or sound will send them sliding off their rocks or logs and back into the water. Because of this, coupled with the red earmark on both sides of their heads, gives them their common name of Slider Turtle. Also, pet red-eared slider turtles can be very personable and will quickly learn to swim to you when they want to eat. Because of this, if you’re looking for an aquatic turtle for sale, be sure to consider the red ear slider. When considering a pet turtle, select a juvenile or young adult red-eared slider turtle. Also, be sure to check out the albino slider turtle. We have a nice variety of beautiful baby albino slider turtles for sale! Many small species of aquatic turtles are considered a dwarf turtle for sale. Also, some dwarf turtles for sale include the Razorback musk turtle, one of many dwarf turtles. Lastly, other species of dwarf turtle for sale include the stinkpot turtle, many map turtles can be also considered as a small turtle. Interestingly, the musk turtle is a member of the family Kinosternidae. Also, Musks have a blackish/brown dome-shaped carapace with a vertebral keel. Secondly, the keel tends to flatten out in adults but is very prominent in musk turtle hatchlings as well as juvenile musk turtles for sale. Lastly, the Musk turtles’ plastron is reduced in size. In contrast, a Musk turtles’ head typically has two distinct parallel yellow stripes that extend from the nose to the neck. Like many aquatic turtles and other live turtles, these colors may fade in older animals. Because Common musk turtles can be found in eastern North America they are a reasonably priced aquatic turtle for sale. Almost all Musk turtles are found from Florida to Canada, as well as from the state of Texas all the way across to Wisconsin. Also called the “stinkpot,” a common musk turtle may emit a foul smell from glands on the corners of the plastron that exude an orange-ish liquid. Because this usually occurs when a live turtle for sale is frightened or startled and often declines in pets that receive frequent handling. Lastly, Common musk turtles are found in both slow-flowing sections of stream and river habitats, as well as lakes and ponds. Musk turtles are considered some of the more popular pet aquatic turtles. Mud turtles are small semi-aquatic freshwater turtles. Because this species of mud turtle is generally found living on land and water. In contrast, the color of their outer shell is generally olive to dark brown. Interestingly, their beak is found to be slightly curved more so than most aquatic turtle for sale. Lastly, mud turtles for sale are commonly available throughout the year, as pet mud turtles are kept quite frequently due to their compact size and ease of care. Be sure to explore our mud turtle care sheet as well. Most noteworthy, River cooters and pond cooters are aquatic, large sized turtles, primarily found in the southeastern USA. Because some species of river cooters for sale can even be found in the midwest. Lastly, Cooters, the turtles in the Pseudemys genus include the red-bellied turtles, which are similar in their habitats, behavior and diet preference. Finally, river cooters can make great pet water turtles. Spotted turtles are some of the smallest full-size turtles found in the USA. In contrast, the spotted turtle has a beautiful black shell. Secondly, this beautiful aquatic turtle is covered with bright yellow spots, which vary depending on the spotted turtle’s age. Also, mature Spotted turtles tend to have an even larger and greater number of spots, as many as 100 or more spots found across their shell as well as their head. Because baby spotted turtles for sale may have just a few spots, often only one per scute. Lastly, the spotted turtle’plastron is yellow and orange with some patches of black pigment. Also noteworthy, their legs and arms are black with orange or red color in between their bright yellow spots. Most popular among pet turtle enthusiasts, the Blanding’s turtle is a medium-sized, semi-aquatic freshwater turtle. Because the Blanding’s turtle inhabits wetlands in parts of the upper Midwest, New York, New England, and southern Canada with remnant populations in Nova Scotia they are found in a wide range. Also, Blanding’s are beautiful freshwater turtles for sale that are as intelligent as they are beautiful. Because Blanding’s turtles have life history characteristics that are comparable with sea turtles and tortoises. Also, Blanding’s turtles for sale can live to 70 years of age, tend to reach sexual maturity at more than 20 years of age and have low reproductive potential. As a result, Blanding’s turtle populations are extremely sensitive to adult mortality. Throughout the Northeast, populations appear to be declining and are only increasing through captive-breeding. Snapping turtles are large, aquatic freshwater live turtles for sale that only live in North America. Most noteworthy are 2 main species of snapping turtle that still exists. Similarly, these 2 species are still popular pet turtles for sale across the USA. Likewise are the Common Snapping Turtle for sale and the Alligator Snapping Turtle. Because Common Snapping Turtle tends to live at higher latitudes than the Alligator snapper and both are freshwater turtles for sale. Lastly, Snapping turtles enjoy a wide variety of food and are often considered the top predator in their environment. Keeping in mind that the alligator snapping turtle’s diet consists mainly of fish. More interestingly, the 4″ snapper pet turtle for sale has a “lure” uses a lure using a pink worm-like appendage on the end of their tongue in order to lure the fish close and eat it. More often than not they consume their prey in one solid bite. Because common snapping turtles are more active hunters and will eat just about anything and are readily available as captive bred baby turtle hatchlings for sale. A popular aquatic turtle, the Golden thread is one of the most beautiful baby freshwater turtles for sale in the world. Partly because of their beautiful golden stripes and rich emerald-and-mahogany carapace, the golden thread turtle (Ocadia sinensis), also called the Chinese stripe-necked turtle, is one of eastern Asia’s most beautiful aquatic turtle species. Lastly, Golden’ thread turtles for sale are available from time to time as captive bred babies from turtle breeders and turtle stores. Map turtles for sale are perhaps one of the most specialized groups of turtles in North America. Secondly, their body form is unique: a keeled, serrated carapace, and large, broad forelimbs and paddle-like rear feet. Baby map turtles and sawback turtles of the genus Graptemys are distinctive and highly evolved. Because of their very specialized adaptations, they have specific requirements in both their natural environments and captive habitats. Soft-shelled turtles are some of the most recognized pet turtles in the world, and arguably some of the most unique. Most noteworthy is their pancake-like appearance, the lack of bony scutes on their shells, and their snorkel-like neck and head distinguish them from most other turtles. Because they also possess an adaptation that allows them to breathe underwater, similar to fish, unlike most other aquatic turtles. These differences, as well as the soft-shelled turtles’ intelligence and personality, make them interesting species to keep in captivity may be the most of all baby water turtles for sale online. Lastly, some species including spiny softshell turtles. Well deserving of their common name, painted turtles for sale are one of the most attractive varieties of pond turtles for sale native to North America. Because their range extends from the Pacific coast to the Atlantic coast and from Canada to Mexico. Additionally, this makes them one of the most widespread species in the country. Due to inhabiting practically any still or slow-moving freshwater lake, stream, river or creek within their range makes painted turtles one of the most commonly found live freshwater turtles for sale. 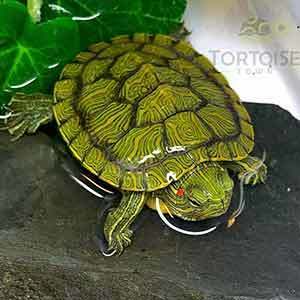 Lastly, their vivid and beautiful colors make them one of the most recognizable live turtles for sale in the USA. There are four types of painted turtles: the eastern painted turtle (Chrysemys picta picta), the midland painted turtle (C. p. marginata), the western painted turtle (C. p. bellii) and the southern painted turtle (C. dorsalis). Although their native ranges vary (hence, their common names), their habits and captive care requirements are very similar. Most importantly, the best aquatic turtle for sale selection in the USA is here! Above all else, remember when searching for any tortoises for sale, including a new baby tortoise for sale, tortoise town is your source for the best tortoise for sale. Tortoise town also offers a wide selection of baby tortoises for sale, baby turtles for sale, and adult turtles for sale of any turtle store anywhere including a huge aquatic turtle for sale section. Lastly, if you are not interested in other tortoises for sale but rather care information or info on tortoise care, please visit our care section. In closing, if you’re looking for other reptiles for sale including baby chameleons, panther chameleons, or more baby turtles, check out our sister website, CB Reptile and our live turtles for sale store! As far as pet turtle habitats or pet turtle housing goes, bigger is normally better. A great number of aquatic turtles are active swimmers. Because of this, we recommend choosing the largest size enclosure or aquarium as possible. Usually, glass aquaria are a popular choice. A 30-gallon tank is the absolute minimum size for smaller species measuring between 4 and 6 inches. For turtles between 6 and 8 inches, a 55-gallon tank is appropriate. Also, for pet aquatic turtles measuring more than 7-8 inches, using tanks in the 55- to a 150-gal range is sometimes a better choice. Lastly, when starting with a younger, smaller turtle, or baby turtle, a small tank works so long as the enclosure or aquarium size does in fact increase as your baby water turtle grows into an adult pet water turtle. Some other habitat options for pet water turtles include plastic tubs, which are available at most hardware or home improvement shops. Also, there are “water land” brand turtle tubs, that house both water and land. These offer both areas are even designed specifically for pet water turtles. If you have the room, one other option is an to create an indoor or outdoor turtle pond available here at the best turtle store. One secret to successfully keeping baby water turtles or any pet water turtle is clean water. Using a good filtration system goes a long way in accomplishing a healthy pet turtle habitat. Other excellent choices for turtle tanks are internal aquarium filters or even using a canister filter. Whichever you choose, be sure to regularly maintain the filtration systems. Keeping in mind that pet water turtles can be messy without the right filter. We recommend trying to keep tank decorations to a minimum. Because most water turtles destroy any attempts at aquascaping. The substrate in a turtle tank only accumulates uneaten food and waste, which can quickly foul the water. However, some turtle species, such as soft-shell turtles, which need a soft sand bottom, require a sand substrate. However, for most turtles I don’t use any substrate or gravel, making cleaning much easier. On the other hand, if a bare-looking tank is not aesthetically appealing to you, feel free to decorate it, but be prepared for more difficult and more frequent cleaning. One piece of décor is essential to most turtle habitats: a basking spot. This can be a carefully placed rock, a piece of driftwood or one of the ready-made basking platforms available at local pet stores. I highly recommend above-tank basking platforms for most aquatic turtles. Whatever type of basking spot you pick, select one large enough to allow the turtle to climb out of the water completely, and place it securely under the basking light. Pet baby turtles for sale are all turtles that are at least 4″ in length. Turtles under 4″ in length as not labeled as “pet turtles” and sold for educational or scientific purposes.